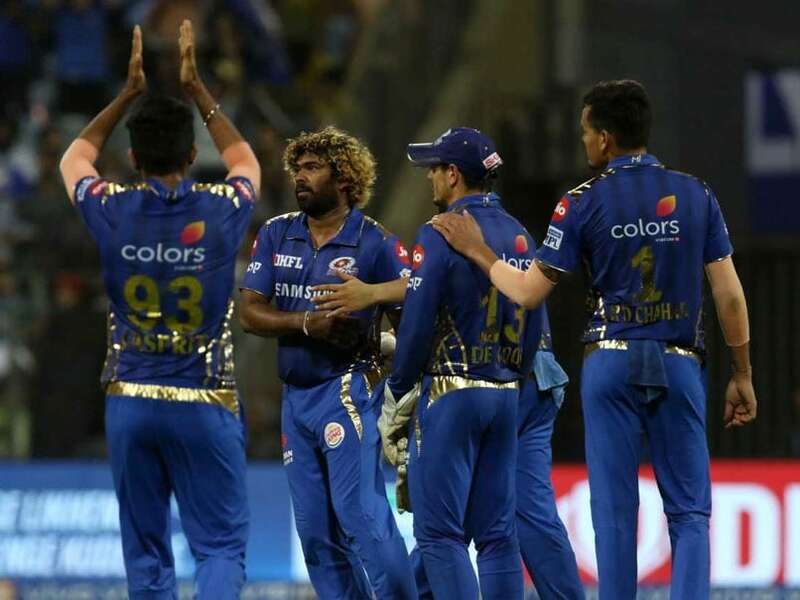 IPL 2019 Highlights Updates Between Mumbai Indians vs Chennai Super Kings, straight from Wankhede Stadium, Mumbai. 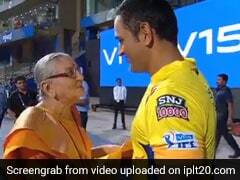 That brings an end to a thrilling match between Mumbai Indians and Chennai Super Kings in Mumbai. Thank you for joining us for the IPL live coverage. 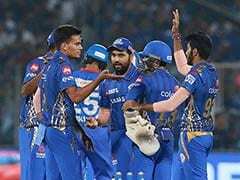 Mumbai Indians win by 37 runs. CSK finish their innings on 133/8. Thakur gets another boundary; this time towards deep extra-cover. Thakur smacks the ball straight back past the bowler. Mohit Sharma is the last man at the crease. Hardik Pandya strikes! Deepak Chahar fails to clear the ball over deep mid-wicket. 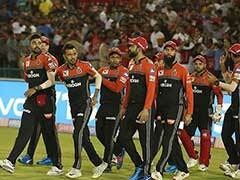 CSK need 49 runs to win off the final over. MI are on track to register their 2nd win of the season. Deepak Chahar gets inside-out and gets a boundary towards deep extra-cover. Shardul Thakur is the new batsman at the crease. 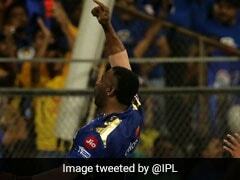 Malinga strikes again! Bravo edges the ball as De Kock dives to his left to complete a fine catch. This was his fourth catch of the match. CSK are 115/7 in 17.5 overs. Bravo hits a maximum towards long-on. Deepak Chahar is the new batsman at the crease. Malinga strikes! Jadhav edges the ball to De Kock. CSK are 108/6 in 17.1 overs. Just 3 runs were scored off Bumrah's over. CSK are 108/5. Jasprit Bumrah will be bowling the 17th over. With 5 wickets in hand, CSK need 66 runs to win from 24 balls at 16.5 runs per over. Back-to-back boundaries for Jadhav as he gets his 8th boundary towards the fine-leg region. Kedar Jadhav brings up his 4th IPL half-century. He opens the face of the bat towards the third man region. Bravo gets his 1st boundary as he guides the ball towards fine-leg. Hardik bounces one down the leg-side. Hardik strikes again! Jadeja edges the ball to De Kock, who dives to his left to complete the catch. CSK are 89/5 in 14.4 overs. Hardik strikes! Dhoni has been dismissed for 12 as he fails to fails to clear the square-leg fielder (Suryakumar Yadav). CSK are 87/4 in 14.1 overs. CSK are 87/3. They need another 84 runs to win from 36 balls at 14 runs per over. Jadhav gets a boundary between deep deep square-leg and deep mid-wicket. The boundary also brings up the 50-run stand between Jadhav and Dhoni. Krunal bowls one outside off. CSK are 77/3. They need 94 runs to win from 48 balls at 11.75 runs per over. 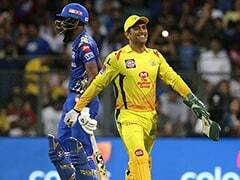 MS Dhoni completes 4,000 IPL runs for CSK. Krunal bowls one down the leg-side. 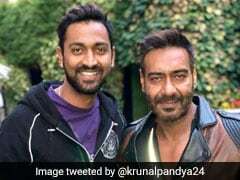 Krunal Pandya has been introduced into the attack by Rohit Sharma. CSK are 66/3 in 10 overs. They need 105 runs to win from 60 balls. Kedar Jadhav is batting on 34 off 29. MS Dhoni is unbeaten on 6. CSK are 57/3. They need 114 runs to win from 12 overs. Jadhav outside-edges the ball towards the third-man region. Chahar bowls one outside off. 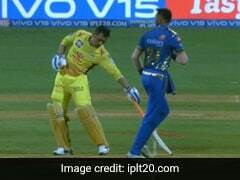 Rahul Chahar has been introduced into the attack by Rohit. Back-to-back boundaries for Jadhav as he craftily plays an upper-cut over first slip. Jadhav smacks the ball over mid-on to make full use of the free hit that followed after the no-ball bowled by Bumrah. Jadhav hits his 2nd boundary. He goes off backfoot and jabs the ball wide off the mid-on fielder. Jasprit Bumrah has been introduced into the attack by Rohit Sharma.